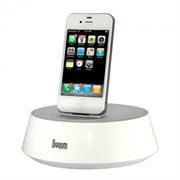 The Latest Divoom iBase-1 Dock is compact and round speaker for iPod, iPhone or iPad that delivers high quality audio that can fill a room with sound , this clutter-free speaker is perfect for listening to music and charging an iOS device while at home or in the office.Additionally, the small yet powerful speaker has a vertical support to ensure the iOS device is safely secured in place.It features four full range neodymium dynamic drivers that enable it to deliver high quality audio and is perfect to carry around or ideal if also used at home or even the office.It is also compatible with other MP3 players via the 3.5mm line-in jack. The Divoom iBase-1 Dock is compatible with iPad, iPad 2, New iPad , iPhone 4S, 4, 3GS, 3G, iPod Touch 1st, 2nd, 3rd, 4th Gen, Nano 6th Gen, Classic with docking and with all devices has 3.5 mm aux jack. 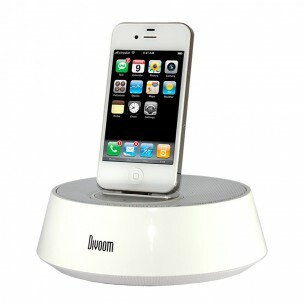 In a world of all-in-ones, Divoom brings to the table the perfect audio partner for Apple iPhone 4/4S users! The Divoom iFit-4 is a compact, portable 360-degree speaker that conveniently docks your iPhone (doubles as a charger!). It is light enough to use while playing games or watching videos and also comes with a line-in jack for other external audio players. * Rechargable battery for hours playback. * Charges your iphone4 while docked. * PO-bass(Passive Oscillation Bass): Reproduce you music with enhanced bass for deep, rich lows. 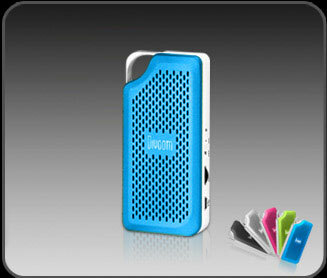 * Built-in rechargeable Li-on battery: Provide Enough juice to last and play up to 8 hours of non-stop music. The Divoom “Ifit-3” is a High quality stereo system with speakers integrated on both sides. Compatible with any iPhone / iPod / iPad at the same time can also be used with any MP3 player or any other smart phones via AUX. 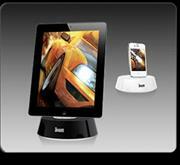 The clever space-saving, slanted design helps you to place your device for optimal view. 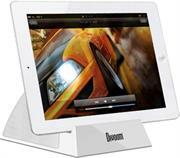 The ideal choice for watching movies or to take it along with you when you travel. The assembled “Po-Bass” technology delivers deeper and more powerful bass in compact body. There is no needs to worry about being near an outlet, the iFit-3 receives its power through a rechargeable battery - listen to music or watch movies for up to 7 hours battery life. 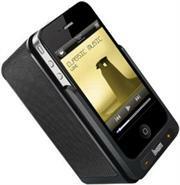 •Plays iPad, iPhone, iPod and other Mp3players. •Portable-Rechargeable battery delivers up to 7hours of playing time, you can take your music anywhere. •“Po-Bass” technology produce deeper and more powerful bass in small body. 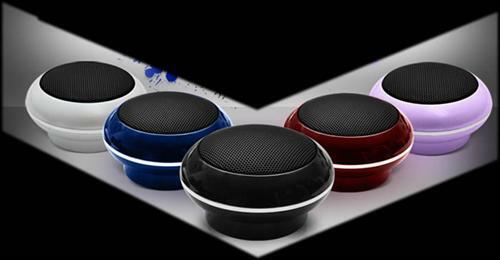 Amazing, small and lightweight but perfectly formed and an essential accessory for any owner of an iPod, iPhone or MP3 player, this ultra portable rechargeable pop-out speaker is perfect for listening to your favorite music when you're on your travels or out with friends and family. With its bottom panel extended out and bright blue power LED indicator, operating this device of 3" in diameter is disarmingly simple. There is only a power switch, an audio cable of about 4" length and a plug which you insert into audio sources such as MP3 players, mobile phones or notebook computers. There are also four mobile phone audio adapters so that you can blast music from compatible phones of brands like Sony Ericsson and Nokia. 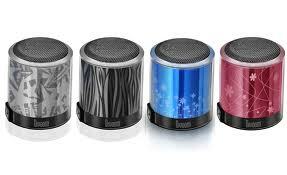 The speaker also comes with a USB cable for recharging its battery. To pack away the gadget, just push the bottom panel into the capsule. Push the panel again and the base pops out and it enhances the bass sounds. With its digitally-amplified 3.8 watt speaker, 360 sound field and expandable bass system, featuring a range of audio connectors and with up to 6 hours of playback from a single charge, you'll be able to enjoy your music wherever and whenever you want. 1. 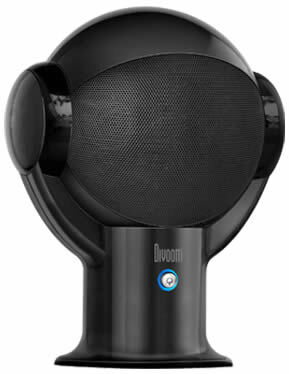 The Divoom iTour-70 Portable USB Speaker System is lightweight and fully portable and battery operated making it ideal companion to use while travelling. 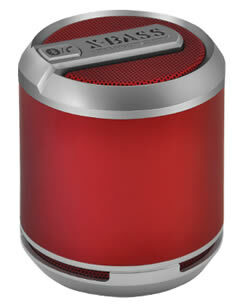 PO Bass Passive Oscillation Bass Technology,,Colour: Retail Box .